Why didn’t your home sell as quickly as your neighbor’s down the street did a few months ago? All is not lost, but there are three reasons to consider and three ways to up your chances of accepting an offer in the near future. After such a frenzied spring real estate market and the extremely low winter inventory, it is natural for any homeowner to feel disappointed if they listed their home and it did not sell. It is also common for a home seller to blame their Realtor for being the reason it hasn’t sold. While it could very well be your realtor’s fault, there are many factors as to why a home does receive offers. 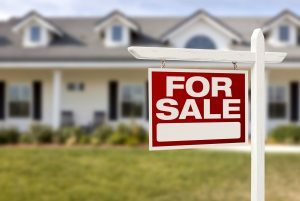 Before you make that hasty assumption, at least consider the following 3 reasons that a home may not have sold. Was the home staged properly prior to pictures and for the showings? Were the pictures of the home taken by a professional photographer with top notch equipment? Do the photos display the home in the best way it can be shown? Did the listing include floor plans? Interactive Floor Plans increase online buyer views of homes by over 70%. Is your agent posting and boosting your home on social media sites? Are they sending out postcards to the surrounding area to let people know your home was just listed? Mailers are coming back in full force as a great way to market properties. If all of these marketing components were done properly then you can check this concern off your list because marketing is not the reason that your home is not selling. Here at Lamacchia Realty, we understand that agents are busy and need more time focusing on their clients which is why we now offer Marketing Services to our agents to assist them in providing top-notch services to all clients! 2. Is the Price Too High? Home sellers hate to hear that their home may be overpriced, however it very well could be the reason why no one is even reaching out to see it. Was your home listed with a price that was in line with what other comparable homes have been selling for in the neighborhood or did you reach for a higher number? Be honest. If this is the case and you did not make the appropriate price adjustment then this is likely your problem. Selling a home is actually not that difficult. The key to selling a home is you must show value. Value to buyer means they feel they are truly getting their money’s worth. If they do not see the value, they will not buy the home. If buyers have a lot of inventory to choose from and your house is priced above all the other homes on the market, then a buyer may bypass yours altogether. There are 5 Important things to Consider when pricing a home not just what you want to make out of the deal. If you feel strongly that it was priced well then you can also check this concern off your list but it’s always worth a discussion with your realtor if the home sits on the market for a while. Though there are tactics to landing on a competitive price, this is not an exact science and thankfully, adjustments can be made. Since we are now in a buyer’s market due to higher inventory, homes are either not selling as fast or possibly not selling at all because buyers have more to choose from. Inventory was extremely low up until a shift happened and there was a spike of homes listed for sale in August this year. Another reason for homes not selling are the higher list prices. Since buyer’s have more to choose from they won’t settle for paying over asking. Back in September, Anthony wrote an opinion editorial on the 3 reasons the real estate market has changed this year. How often do you hear from your agent? You should hear from your agent at least once a week. Even if the agent does not have good news they should be in touch with you. This could also mean that the agent is not responding to buyers who express interest in your home. When a home is for sale, buyers reach out by phone and email at all hours of the day. You have to be sure that your agent has a system in place that has been proven to be successful in retrieving all buyer inquiries and properly handle them whether it is on their own or with the support of a team member. If your agent is a good communicator then you can check this concern off your list as well. When your home does not sell as soon as you’d hoped, it can be an extremely frustrating experience. The proper direction from a qualified and experienced Realtor can still get the home sold. Although selling a home is quite complex and involves many moving parts, the sale process can be broken down into very basic fundamentals as mentioned above. Do not hesitate to reach out and discuss your options.